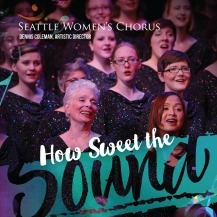 “How Sweet the Sound” showcases the beautiful voices of Seattle Women’s Chorus in a contemporary compendium of pop and classical favorites including works by Eric Whitacre, Gwyneth Walker, Tracy Chapman, Holly Near, and more. 3. Will There Really Be a Morning?